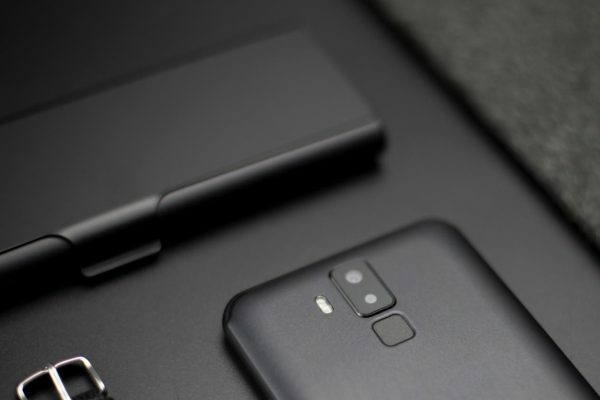 Before this Vernee X has released two versions, namely 6GB+128GB version and 4GB+64GB version. The former is too expensive for some users, and the latter is not enough to users who are pursuing a performance experience. The Vernee X1 takes the 6GB+64GB memory that can meet the requirements of more users. Vernee X1 still adopts 6” 18:9 FHD all screen, the screen ratio is as high as 83.8%, to provide an excellent visual effect; 2.5D dual curve design and 5.5”body size can deliver a fine and smooth hand hold feeling. On the configurations, Vernee X1 is equipped with Helio P23 octa-core processor, the highest frequency can reach 2.5GHz, and Mali- G71- MP2 GPU. Compared to the previous generation it is 10% improved on the performance, 15% reduced on the power consumption. 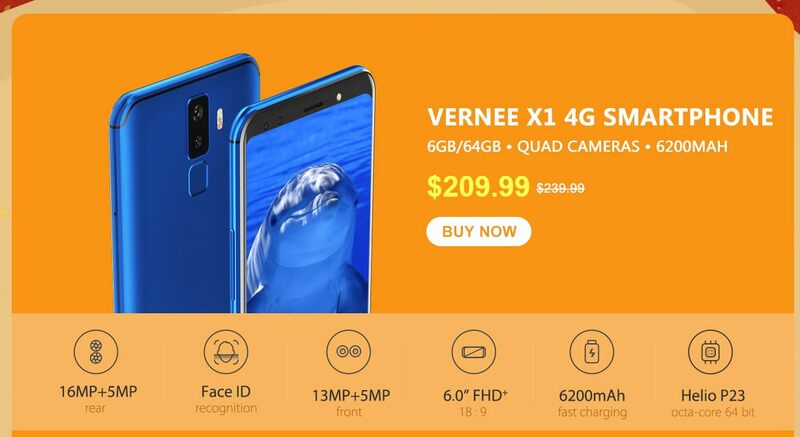 Vernee X1 adopts four cameras – 13MP + 5MP dual front camera with the LED lights will make your selfie prettier and more natural even when in the night; the 16MP + 5MP dual rear camera of SONY IMX 258 sensor supports the PDAF fast focus and with the large F/2.0 aperture the bokeh effect will be even better. 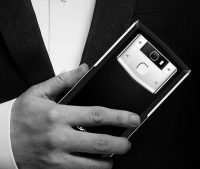 Vernee X1 is still equipped with the amazing 6200mAh big battery. 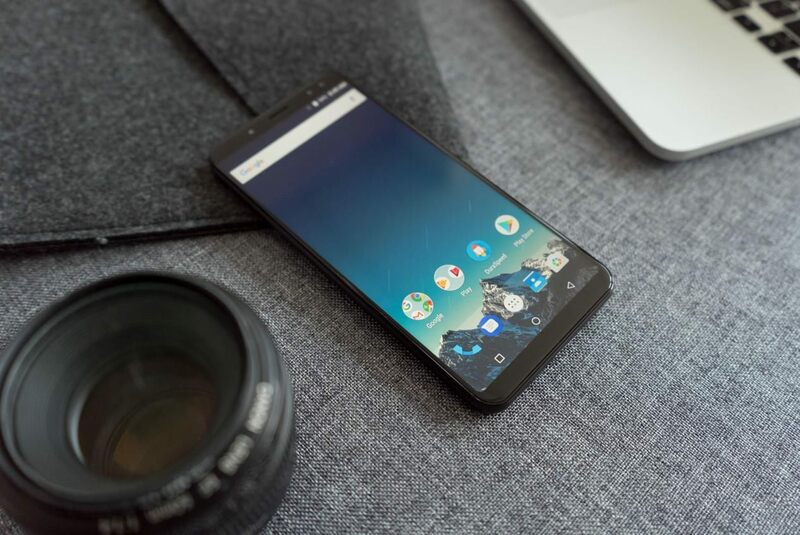 In daily use, with the exclusive VOS super power saving mode, Vernee X1 can provide 4-days use time, and can be charged from 0% Rush to 100% in 2.5 hours. 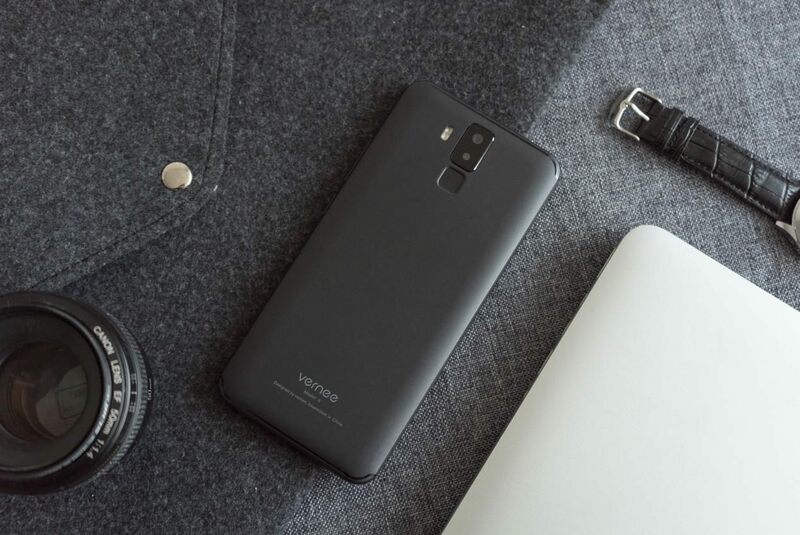 In addition, Vernee X1 still supports Face ID unlock, rear fingerprint unlock, and Android 8.1 system.